What was forecast to be a small amount of rain has, once again, turned ugly. 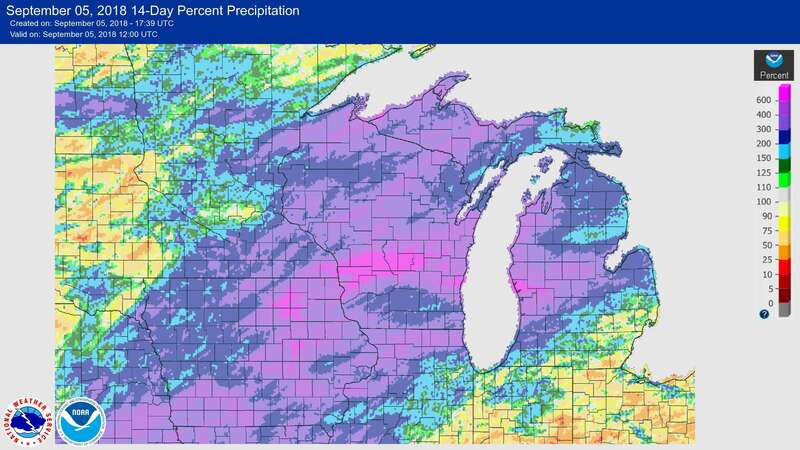 Over the past two days most of Wisconsin has been hit with multiple rounds of high rainfall storms. 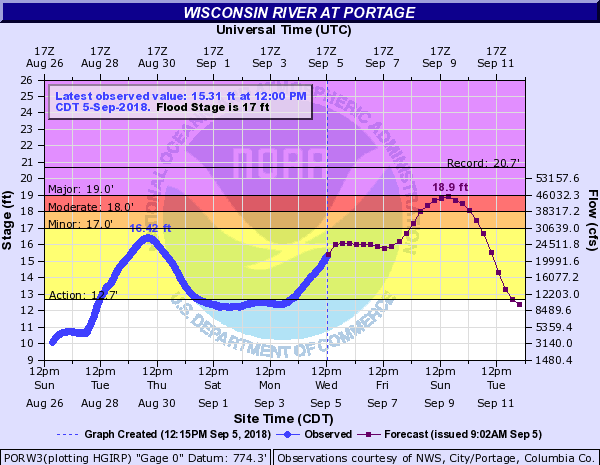 Current river projections look bad. Really bad. Our stretch of river is potentially looking at 50kcfs by the end of the weekend (we cancel trips at 15kcfs, normal is 5kcfs). As such, it’s a safe bet that we will not be running trips this weekend. All of that said, the stationary front that has been causing all of this record flooding is finally moving out of our area. The next 10 days look to be sunny and warm which will allow the watershed to quickly draw down back towards normal levels. While this weekend is almost certainly out of the question, I fully expect water levels to return to normal levels before the following weekend. The current weather forecast is about the best thing we could hope for.